Please see here for configuration of the Solar Charger or here for the Louvolite Wireless Hub instructions. With an electric roller blind, you can decide whether you’d like the blind brackets fitting to the ceiling, or top of the window recess (top fix), or onto a wall or window frame (face fix). Though wood screws are provided with your blind, if you're looking to install your brackets onto any other kind of surface, you'll need to make sure you have the appropriate fittings. These are readily available at any good DIY store. Step 1 : Position and secure your battery pole clips adjacent to the motor control end of your blind. The connecting wire is 25cm long. The tube can be fitted horizontally or vertically and should be located out of view wherever possible. 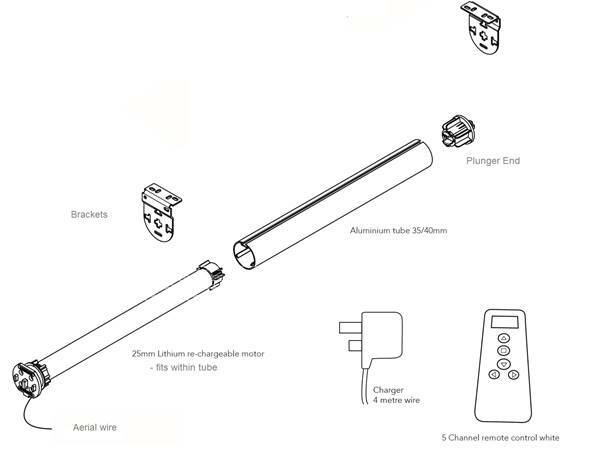 Clip the tube with batteries, into place. Step 2: Mark the position of your fixing brackets allowing for the size of blind ordered and the position of the battery tube. The fixing method will depend upon the surface you are fixing to. We provide standard wood screws only. Ensure your blind fabric will be clear of any obstruction such as a window handle. Step 3: Fit your blind into the brackets by inserting and compressing the spring plunger end first followed by the motor end. Ensure both ends are fully engaged and secure. Step 4: Join the motor and battery pack wire connectors. Step 5: Now set your top and bottom stop limits using the instructions below. N.B. To clear and start again - go back to step 1 and start the process again. 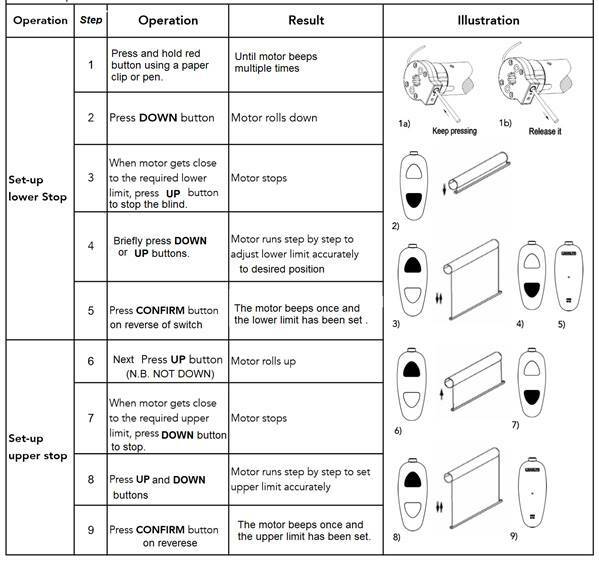 Once the top and bottom limits have been set follow the simple operating instructions below to operate your wand controlled electric roller blind. IMPORTANT: Your motor requires fully charging before fitting. This requires up to 6 hours and is complete when the green light illuminates on the charger unit. DO NOT overcharge and remove from charge once green light is lit. DO NOT leave on charge overnight or unattended. DO not leave charger on permanently. Overcharging will affect the efficiency of the rechargeable battery. Step 1: Mark the position of your fixing brackets allowing for the size of blind ordered, just like a standard roller blind. The fixing method will depend upon the surface you are fixing to. We provide standard wood screws only. Ensure your blind fabric will be clear of any obstruction such as a window handle. Step 2: Fit your blind into the brackets by inserting and compressing the spring plunger end first followed by the motor end. Ensure both ends are fully engaged and secure. Step 3: Now set your top and bottom stop limits using the instructions below. 1. The side of the motor mount with the SETTING button should face you. 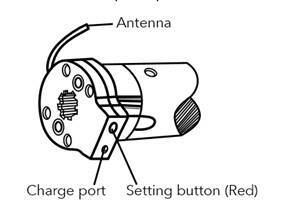 2.The motor antenna should be as straight as possible; otherwise the receiving distance will be reduced. 3. Charging - The motor works with Li-ion battery, please charge when the motor stops working or falters. Please charge the motor with with the charger provided. charging time with the charger will be 5 to 6 hours. Please do not leave the motor on permanent charge as this will reduce battery performance. NOTE: On receiving the motor we recommend fully charging. 1. Select the channel for the blind using the CHANNEL +/- button. 2. Hold down the SETTING button until it jogs 2 times then release the button. 3. Press the CONFIRM button within 10 secods. The motor will jog 2 times and the remote is now paired with the motor. If required - an additional remote can be paired using the following instructions. 2. Press the CONFIRM button within 10 seconds. The motor will jog 2 times and the additional remot will be paired with the motor. 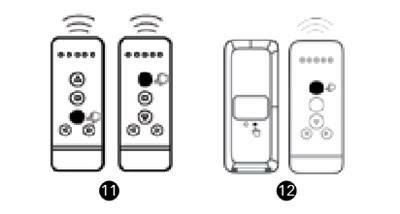 1.Press the UP button on the remote, if the blind goes up then the motor direction is OK.
2. Hold down the LIMIT button and then press the STOP button on the remote transmitter, the motor will jog to indicate the direction has been changed. 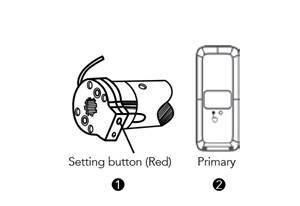 1.Pess and hold the LIMIT button on the remote until the motor jogs 4 times and then release the button. 2. 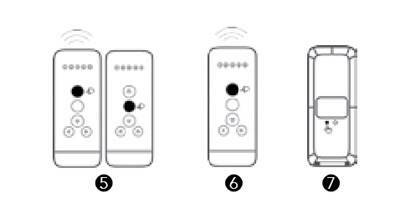 Press DOWN button on the remote to move the blind down and press STOP when desired lower limit is reached. ​3. To set the lower limit more accurately press DOWN button(and up if required) and the motor will run down in steps. 4. Press CONFIRM button on the remote and the motor will jog 2 times, the lower limit is set. 6. Press UP button (and down if required)and the motor will run steps to set the upper limit correctly. 7. Press CONFIRM button on the remote and the motor will jog 2 times, the upper limit is set. 8. Press UP or DOWN button to move the blind and press STOP when the desired mid-point limit is reached. 9. Press and hold the LIMIT button first then whilst holding LIMIT press the UP button on the remote until the motor jogs. Mid-point is now set. 10. 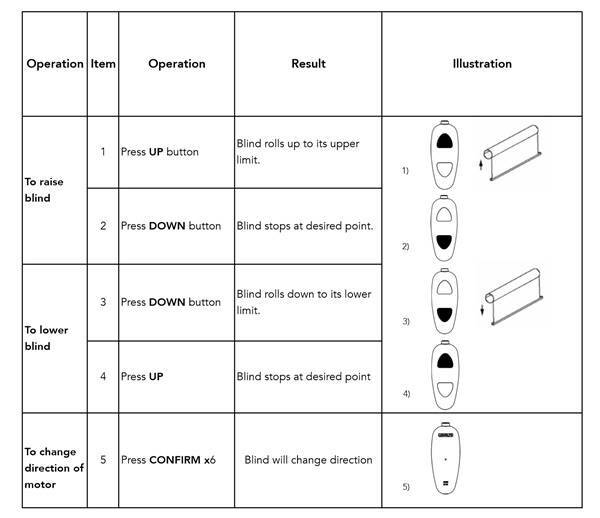 With the blind in the set upper or lower position, press STOP once, to move the blind to the Mid-point position. Please note: The group channel will be recorded on the motor automatically when the single channel has been programmed on the motor. Cycle through the channels until all ten lights are lit to access the group channel on the remote. 11. Press UP or DOWN button on the remote to send blind to upper or lower limit. 12. 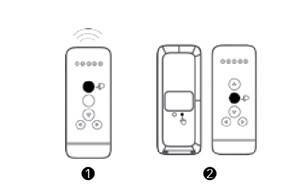 Press and hold the LIMIT button first then whilst holding LIMIT press the UP button on the remote until the motor jogs. Mid-point is now deleted. 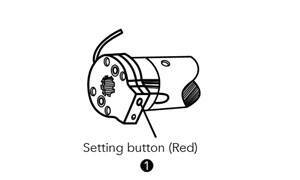 1. press and hold SETTING button on the motor mount and the motor will jog(2-3 times in one motion) and then reslease the button. Please charge the motor battery first. if the motor does not stop at the required point then the stops must be reset. The instructions can also be downloaded to your mobile phone using the QR code on the reverse of the remote control handset. 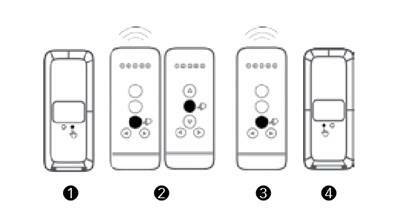 Once the top and bottom limits have been set use your hand remote control handset to operate your blind. For more information about the benefits of Electric Remopte Control Roller blinds click here. Optional - solar Panel Trickle Charger (When Ordered). The solar panel is installed independently to the blind using the brackets provided. It is suitable for south, west and east facing windows, in full daylight. 2. Attach the panel to its fixing bracket.The black mini solar panels should face outward. 3. 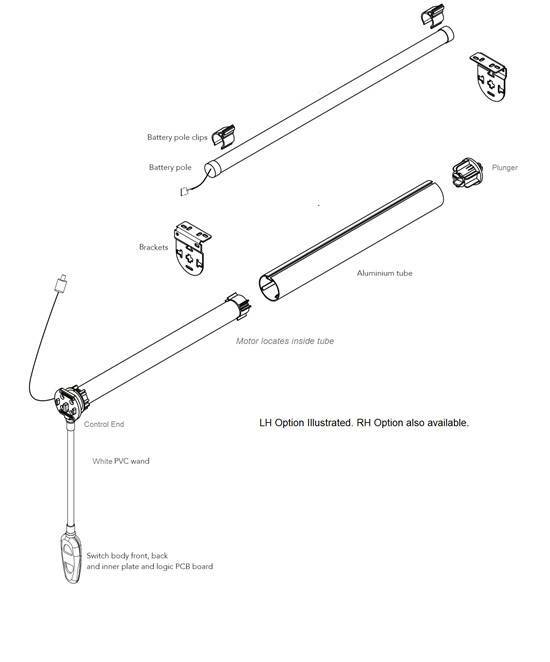 Ensure the blind has been fully charged using the plug-in charge unit supplied.See blind fitting instructions for full details. 4. Once fully charged, remove the mains charger plug lead from the motor end part and replace with the solar panel lead plug.Leave the solar panel plugged into the part continuously. 5. The solar panel will trickle charge the blind and the mains should no longer be required.If the daylight hours or light intensity is insufficient at any time to keep the blind charged then simply use the mains unit once more to fully charge.